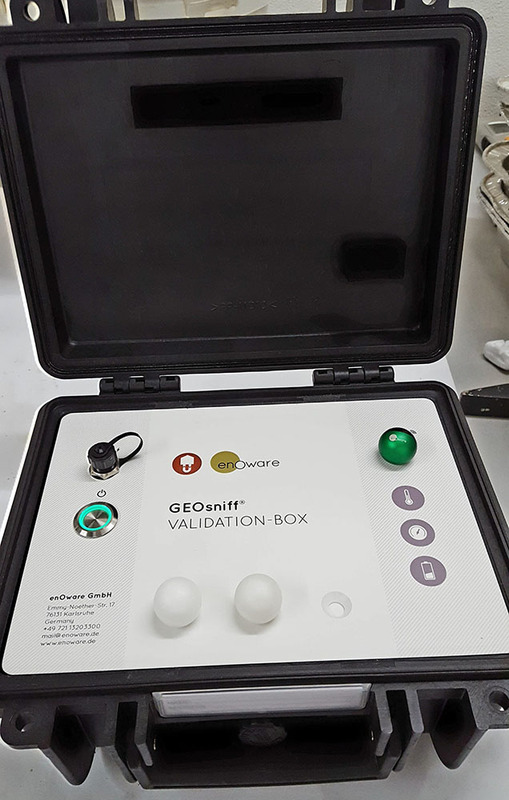 Dr David Bertermann and Johannes Müller had the opportunity to join a training event of enoware GmbH which were introducing their new measuring device called “GeoSniff”. 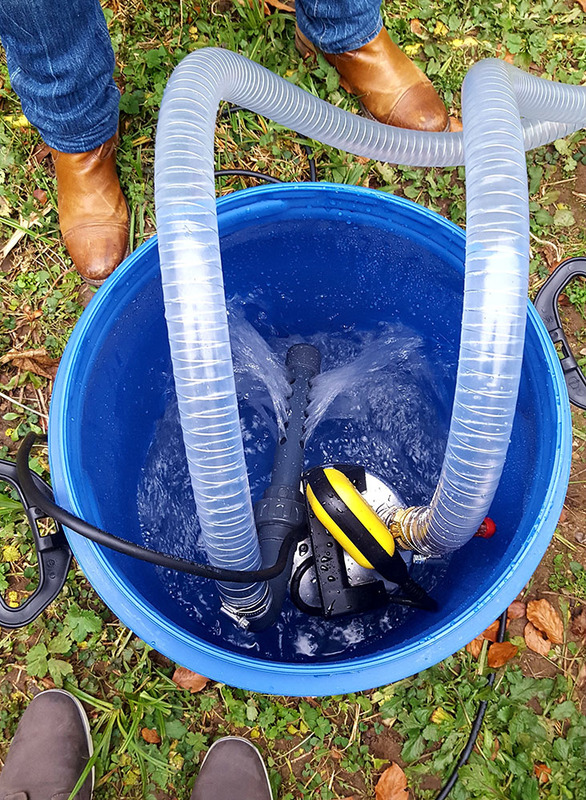 This new application is able to do depth and temperature measurements in single-U and double-U pipes of different diameter. 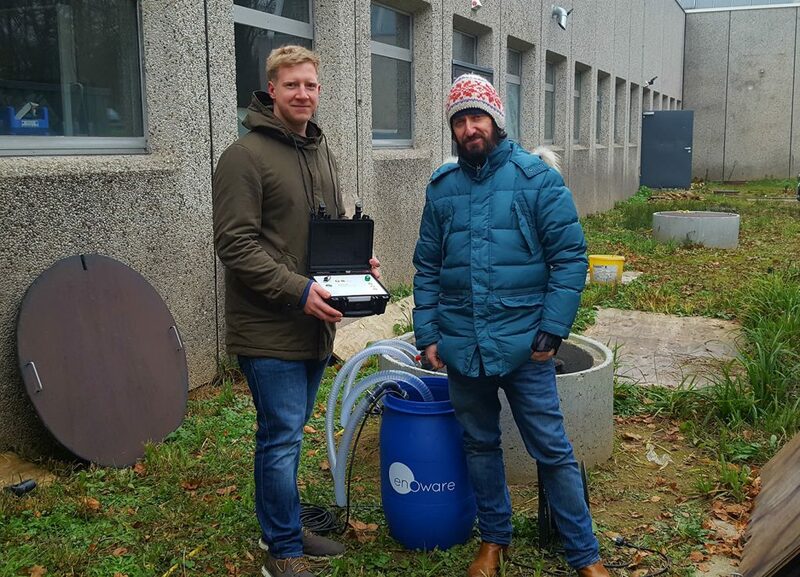 FAU & UNIPD-DG have planned to perform some “short thermal respond tests” in selected Cheap-GSHPs test sides to evaluate the underground temperature values.